Rear Window Moulding Clips for 1968-69 Cuda Coupe. Windshield Moulding Clips for 1968-69 Cuda Coupe. Rear Window Moulding Clips for 1968-69 Cuda Fastback. 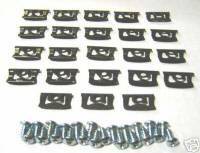 Windshield Moulding Clips for 1968-69 Cuda Fastback. 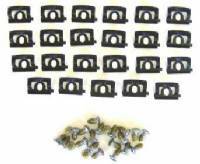 Windshield Moulding Clips for 1968-75 Dart & Valiant.